Published in London by Folio Society. 2008. First Thus. 3 Fine or Near Fine Hardbacks. 5 leaves of volume 2 (pp259-269) have heavy creases to top corner. No inscriptions or bookplates. Very Good+ slipcase. Some marks to panels of slipcase. 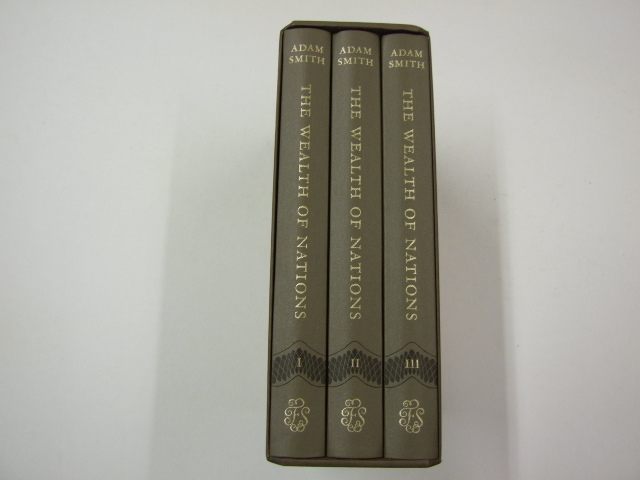 3 volume set, grey cloth with black and gilt decoration illustrated in colour and with maps, this edition preserves the original spelling and punctuation of the third edition published in 1790 with some minor emendations, and includes an introduction by Kenneth Galbraith. Vol. (1). Xxv, 294pp. Vol. (2). Xi, 319pp. Vol. (3). Xi, 308pp. 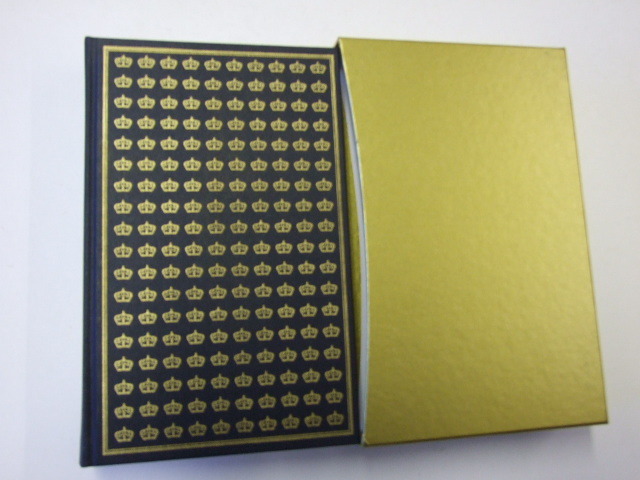 - Maps, Bound in buckram, blocked with a design by Neil Gower. Set in Garmond. 984 pages in total; frontispiece and 32 pages of colour plates in each volume.